My family and I have actually been going to Hy’s Steakhouse in Downtown Vancouver for years for special occasions. It’s Momsie’s favorite restaurant. We really enjoy the atmosphere and the level of service we receive everytime. In fact, one birthday, due to our special request, our server had the bartender make an Irish Coffee that was lit on fire for Mom right at our table! For tonight, the special occasion was that my mom’s sister came to visit us from Hong Kong. They were leaving for an all-you-can-drink cruise the next day so they didn’t order any drinks. I did tho! From our server’s recommendation for something fruity, I had the Lavender Lemonade ($15). It was made with Unruly vodka, lemon juice, house lavender syrup, and lavender bitters. 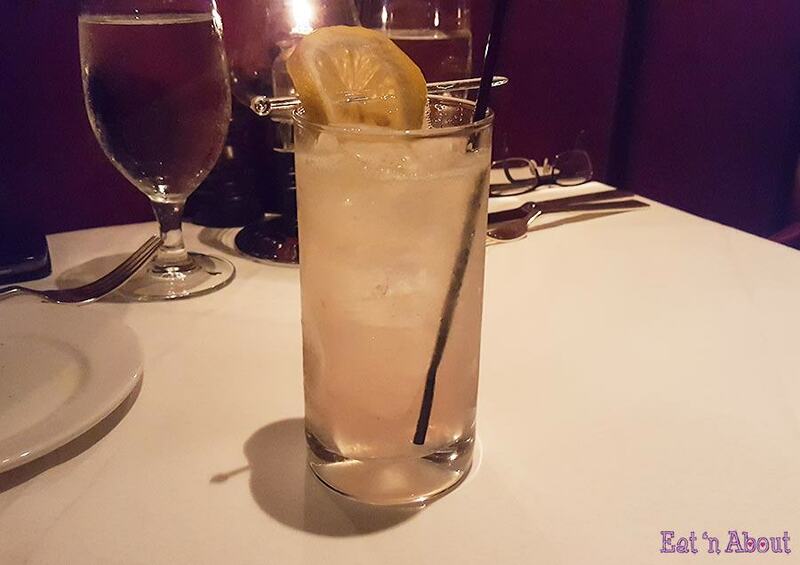 This adult lemonade was intensely refreshing with strong lavender aroma. I was afraid the lavender would be too perfumey but that wasn’t the case. The aroma in this cocktail is very true to the flora and I enjoyed it a lot. 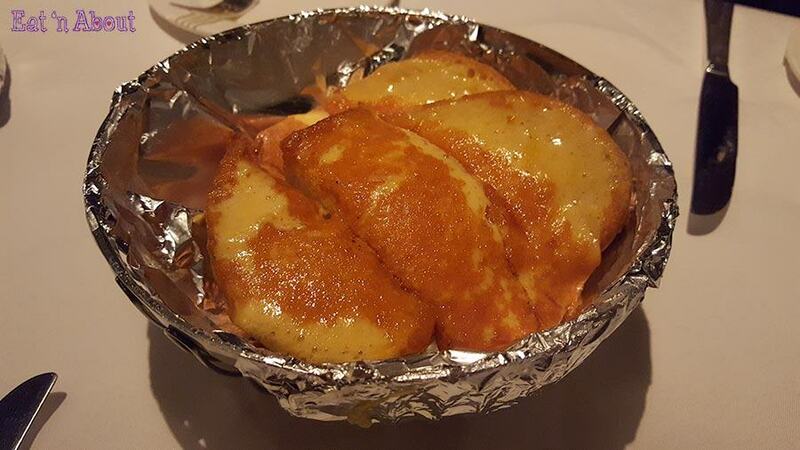 As always we started with the Cheese Toast for Two ($8.95). The bread was soft and fluffy as usual and the melty cheese blend was pungent and delicious. It was quite greasy but that didn’t stop us from getting a second order. 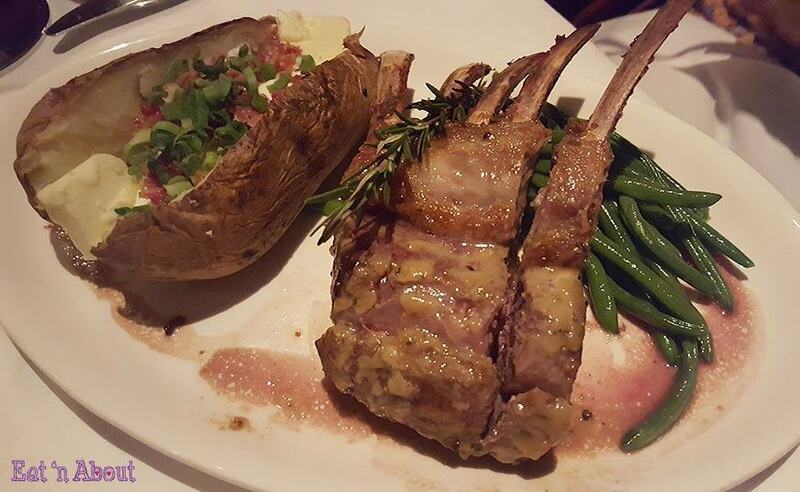 Dad and Auntie both ordered the Roasted Rack of Lamb ($49.95). Both of them were too trigger happy and dug in before I had a chance to stop them for #cameraeatsfirst. 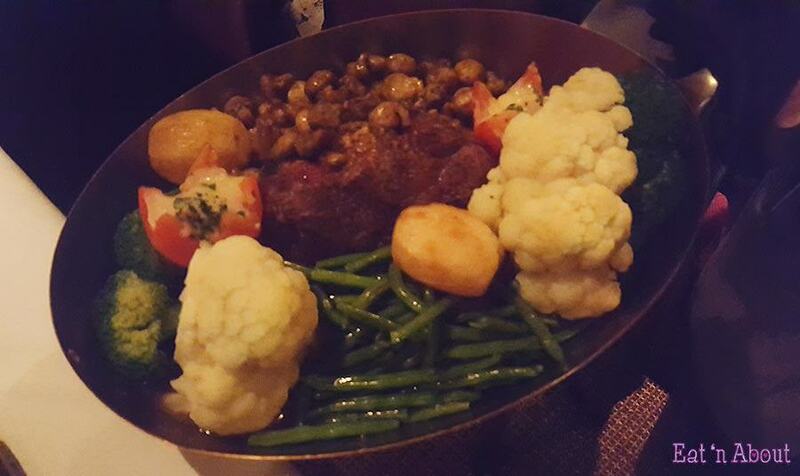 Originally the dish is served with green beans and nugget potatoes. Dad and Auntie both opted for a baked potato instead. The servers come around with the usual condiments of butter, sour cream, bacon bits and chives and you get to choose which or all you want. The racks were delicious with enough charred salty fatty bits hanging around. Each rack was quite meaty also and roasted perfectly to your preferred doneness. 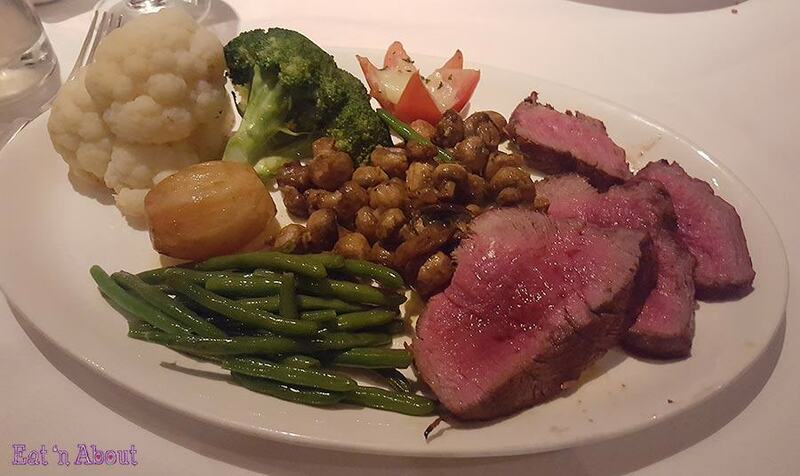 Mom asked me to make the call so I decided to share the Tableside Chateaubriand for Two ($119.95) with her. It’s a Filet Mignon grilled and presented with vegetables, bearnaise sauce and red wine jus. The whole thing is brought to your tableside and carved and served right there. We asked for a medium rare cook but it looks like this time it was more to the rare side…a bit off on technique for the amount of money we’re paying I though. Wasn’t a problem with me though. The bearnaise sauce was super buttery and rich. The red wine jus was great with the meat. The steak was served with a large amount of vegetables (hey this fulfills the healthy eating guideline of filling half your plate with veggies!). The mushrooms were salted a bit too much though. All in all if was another good steak dinner at Hy’s (although Bellevue’s John Howie Steak still takes first place in my heart) and I’m sure we’ll be back again.